A preventative formulation.It has been shown that the combination of glucosamine and chondroitin is most effective against arthritis. The anti-inflammatory properties assist with building and maintaining strong bones and flexible joints. Powder/Liquid Directions: Can be used with wet or dry food. 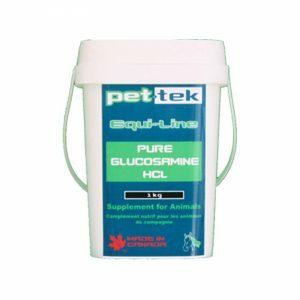 Add recommended dosage directly to your pets food.